Thank you for applying to our vibration seminar. It was a successful seminar, having 20 persons from 9 company for beginner level. 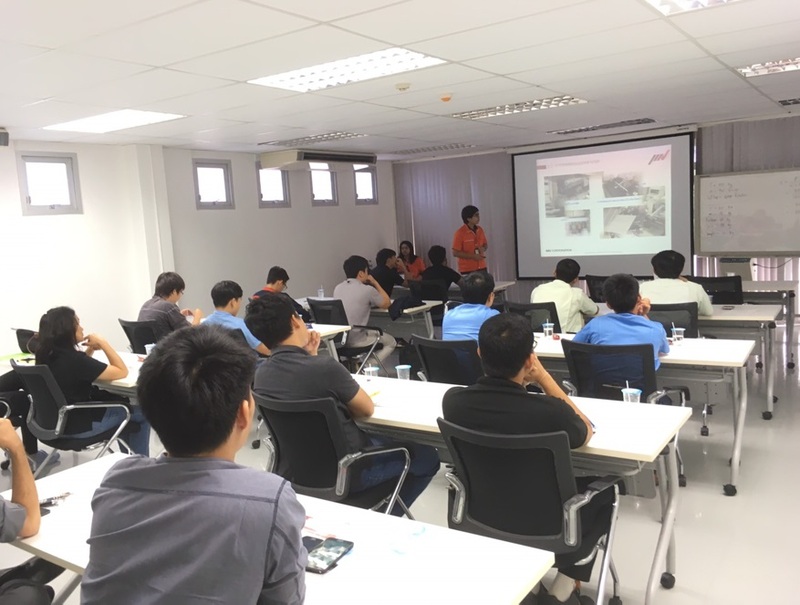 In this seminar Mr. Adisak Buathong, Assistant Test Laboratory Manager, made a lecture and showed testing demonstration at IMV test laboratory. The participants appreciated the the opportunity to leaned a course for vibration test and are willing to continue to the professional level. We strongly belive that the course will enhance you and your lab become more efficient and knowledgeable in the vibration test world. Don’t miss next opportunity. 1. Introduce IMV CORPORATION and IMV (Thailand) Co.,Ltd.